Enteroentero y hueso candil levantadoDeshuesado y envasado en 2 trozos.Deshuesado y envasado en 4 trozos.Media envasada y media loncheada en sobres de 250 gr.Toda loncheada en sobres de 250 gr. Después de guardar la personalización del producto, recuerda añadirlo a tu carro de compra. 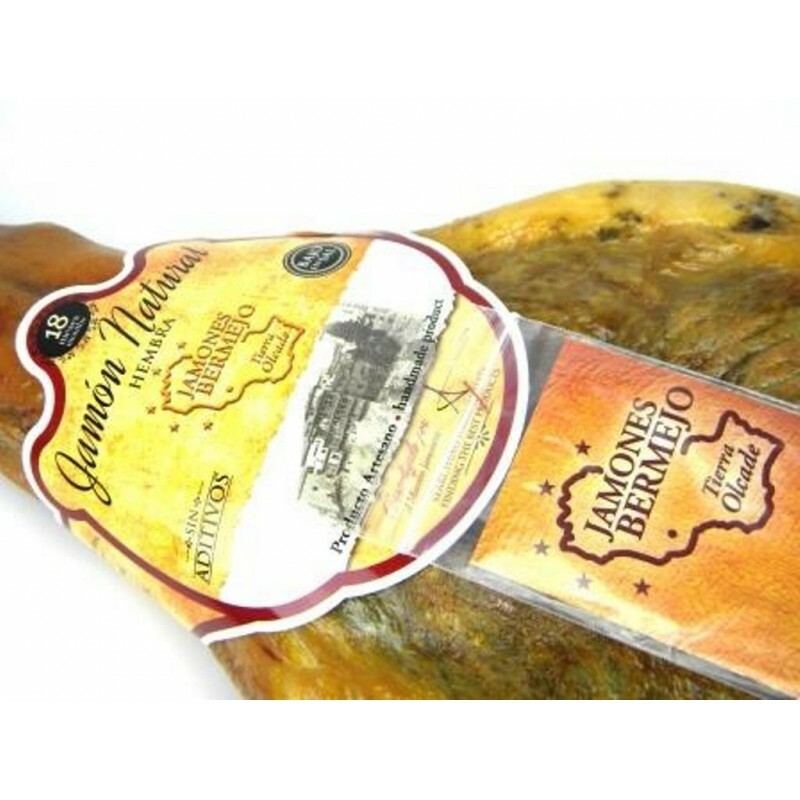 Ham 50% duroc pork, female, without additives and salted with organic salt in the air of the mountain range of the pile, "more natural impossible". Customize your product under the related products within this same file and tell us how you want the piece: tender, more cured, with more fat ... etc. The privileged situation of this dryer allows to make natural jamon without additives, only comparable to the areas of Trevelez and very close to Teruel since we share the same mountains. If what you want is a balanced diet, low in salt, and without any additives, preservatives or colorings, this is your product. Our natural ham without additives is salted with a mixture of pure oceanic salts without anti-caking and Ecologic, with an exact measure of salt for each piece to achieve a low salt and totally natural product. EYE SALT THAT DOES NOT CONTAIN ANTIPLAZZANTE (E536) POTASSIUM FERROCIANIDE, we want the most natural, only pork ham and pure Atlantic and ecological salt. Marked one by one to have absolute control of each of the pieces. Only time between 20 to 22 months of outdoor cure, a good raw material, a mixture of oceanic salts, the latest salting technology and time, are what make this delicious product. Eat the best ham in the world.